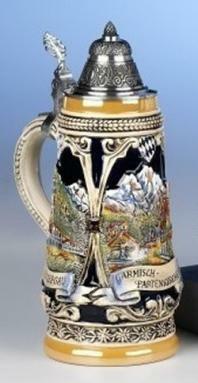 The body of this stein is a smooth, black glazed, high quality stoneware decorated with a platinum wrap around design. 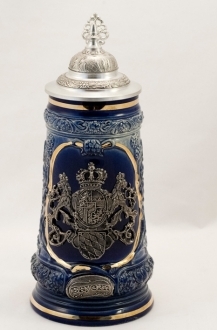 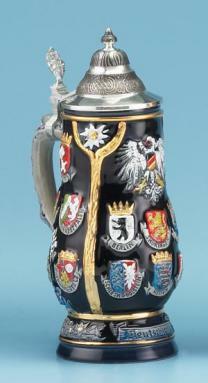 Created in remembrance of the sixteen German states formed after the reunification of Germany this stein displays the crests of each state on either side of a pewter emblem featuring the Eagle National Coat of Arms of Germany. 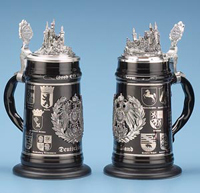 To complete the stein an intricately detailed pewter Neuschwanstein Castle figurine is mounted on top of the ornamental pewter lid. 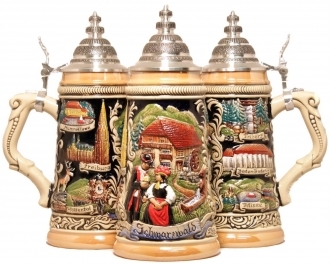 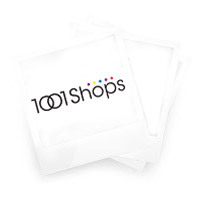 Limited Edition of 5,000 pieces worldwide.